You’ve picked your destination and zeroed in on potential dates for your travels. Now comes the fun part — planning your trip! This is my specialty and an area where I can share a few tips and resources for how I go about planning for my next trip. Skyscanner – This is my favorite search engine because it allows you to search multiple locations and a wide range of dates. Not sure where you want to go? Leave the “To” field blank! Want to find the cheapest dates to travel? Search using the “Whole Month” or “Whole Year” options. I’ve used this site to book several of my upcoming trips including Hawaii, Sydney and Tasmania. Private Browsing – It’s no secret that websites and search engines track your every move online, but did you know that airlines use this information to increase prices based on your activity? Outsmart the internet by using private browsing (sometimes called incognito) in your web browser. Private browsing means that your searches and sites will not be tracked. 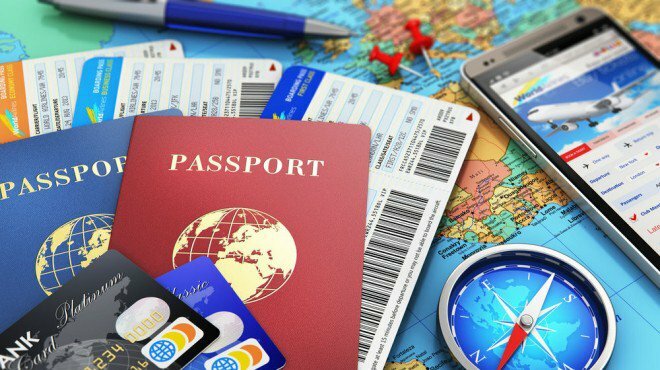 It’s the best way to shop for travel options including flights, accommodations, and even car rentals. Kayak – Another great travel search engine. I will often use this to compare with my findings on SkyScanner. Airline websites – While I’d like to believe that search engines always provide the best options for travel, this isn’t always the case. Once I’ve found a flight option I like, I double check the actual airline website to make sure I’ve found the best deal before booking. AirBnB – The best site, in my opinion, for finding an apartment or home while traveling. It’s not the best deal for solo travelers but if you can share the cost with a few friends or family, it’s an excellent choice! I’ve had great experiences with AirBnB homes in Memphis, Savannah, Puerto Rico, and Vieques. Hostel World – Looking for a cheaper option? Hostels provide budget accommodations for travelers comfortable sharing a room with strangers and sleeping in bunk beds. Some will also offer single or double rooms but these will be more expensive than the shared rooms. It’s not my preferred option but I find myself booking these room shares more and more often. Hostels are ideal for travelers on a budget, traveling solo, and/or looking to meet other travelers. Many hostels will offer activities and cheap meals as well. Pinterest – Hands down, Pinterest is my favorite travel planning tool. I have boards for all my destinations and save articles and resources to the boards as I come across them. Pinterest is also a great place to search for destination ideas because there’s already a ton of sites that people have found for you. Going to Hawaii? Type your destination into the search box and bam! you have a ton of sites to scour for planning. Feel free to check out my boards, too. G Adventures – My favorite travel company, G Adventures, is another regular stop for me when planning a trip. I’ve booked two trips with them — Local Living Amalfi Coast and Costa Rica Quest — and have found tons of resources and tips on their website. You don’t have to book a trip, however, to take advantage of their suggestions for itineraries, things to know about the region, and what to pack. Lonely Planet – Well-known for their travel guides, Lonely Planet offers several options for supporting your trip planning. They offer travel guide books (which you can check out for free at your local library! ), PDFs to download, and articles on their website. Travel Blogs – I’ve discovered a bunch of inspiring blogs via Pinterest and Blog Lovin’. Travel bloggers often share great resources and advice for places they’ve been and may even leave you with new ideas of your own. I love reading about other traveler’s experiences because it gives me a better idea of what to expect. Have a favorite resource of your own? I’d love to hear about it! Happy planning!